HUGE Holiday SALE is here!! The TDArt HUGE Holiday Sale is HERE! 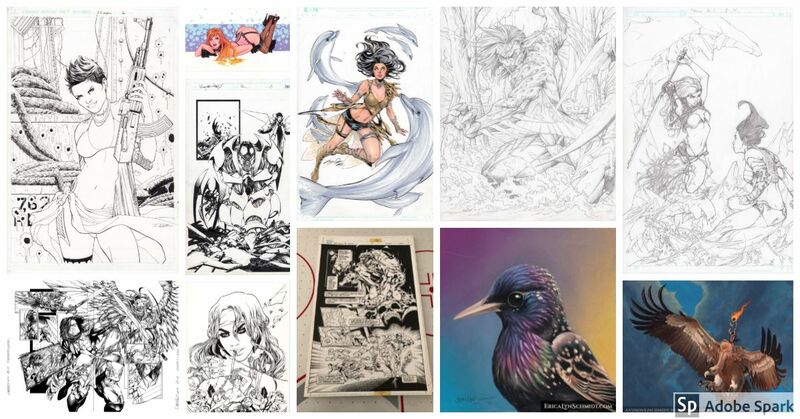 The sale this year is epic and even New art is included! Please see below for the sale details from each artist. Note that the prices shown are the regular price so the discount will be applied when you send your purchase request. Feel free to email me at TDArtSales@gmail.com if you have any questions or want to know what the sale price will be on an item. A few notes - When getting a free page, the lowest price page is the free one. No mix/match on the BOGO except you may mix and match Erica and Anthony's buy 2 get one. Keep an eye out for follow up sale emails with more updates and don't wait, this sale is epic!